This issue is recurring again on Ubuntu MATE 16.04. It happens intermittently on two different machines, both fully updated. The assistive technologies are not loaded on startup (diabled in "Startup Applications" but it still occurs. There was an old bug from 2010 which has now expired as has the related upstream bug. A proper fix would be welcome. I note that all the recent reports linked to above relate to Ubuntu MATE only. Still happening after upgrade to 16.10. Ubuntu MATE 16.04 64bits, the same bug here, any solution? Waiting for the program to finish. 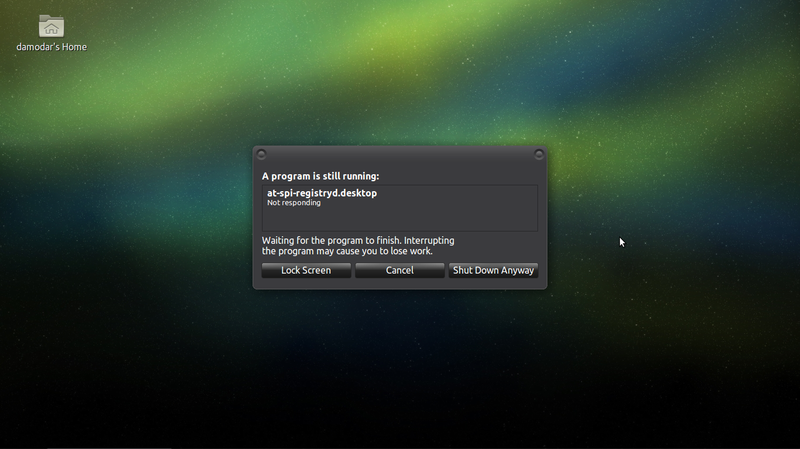 Interrupting the program may cause you to lose work.